What do your rock albums and your Wallside Windows have in common? Both classics stand the test of time thanks to vinyl. Saturday, April 21 will be Record Store Day - when independent shops across the country celebrate vinyl as a musical medium. Vinyl has also been a go-to source for our Factory-made windows for decades. Thanks to its cost efficiency and durability, vinyl is now the most commonly used material for building windows. It has an interesting history, too. In post-World War II Germany, materials such as wood and aluminum — common window materials — became scarce. Builders turned to synthetic materials such as vinyl when natural resources were in short supply. In the U.S., vinyl manufacturing company BF Goodrich started producing vinyl windows on a mass scale in the late 1950s, mirroring the designs of wood and aluminum windows. Wallside Windows’ founder Martin Blanck read an article in The New York Times about vinyl replacement windows in the 1970s. He quickly embraced this emerging home improvement trend and built our business on this material. By the 1990’s, vinyl window sales had skyrocketed, and the growth was fueled by this newer technology in the production process. Veka, Wallside Windows’ vinyl supplier, produces the vinyl profiles through a process called extrusion. Plasticized PVC is forced through a die to form its shape, according to Wallside’s technical adviser from Veka, Don Benson. Before that process, he explains, the raw vinyl resin is blended through a proprietary formula that will deliver the desired performance and durability. Veka also adds heat stabilizers to prevent degradation during extrusion and to minimize the effects of UV radiation to prevent fading and degradation, Benson said. Titanium dioxide is also added to give the vinyl a bright white color that reflects the sun’s rays and prevents heat buildup, and lubricants and other processing help to ensure a smooth finish. The result is an excellent material to build our high-quality windows. Vinyl is also an efficient insulator and has a host of benefits. It doesn’t rot or wrap, it won’t absorb moisture or require painting or regular maintenance. Vinyl is easy to clean, too. It’s such a long-wearing, reliable product that Wallside may be best known for our 35-year guarantee. Benson also noted that vinyl is recyclable. Nearly 20 million pounds of vinyl is recycled in the United States annually. It’s no surprise to us that the day after Record Store Day is Earth Day. When it comes to vinyl windows, there’s a lot to celebrate. 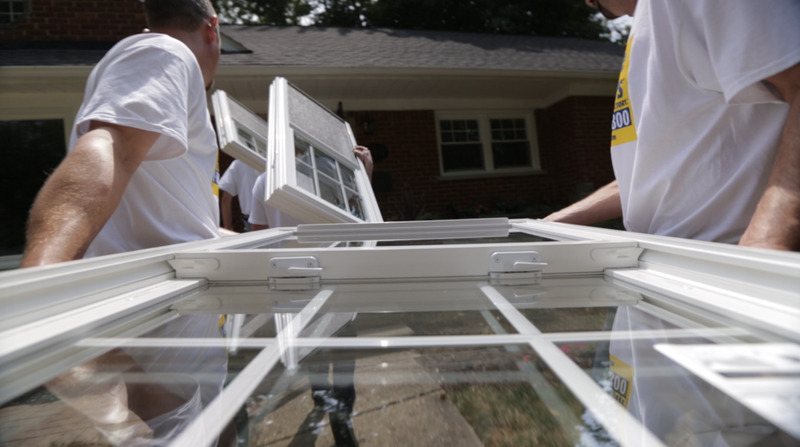 Ready to experience all of the benefits of vinyl replacement windows in your home? Contact Wallside Windows for your free estimate today.